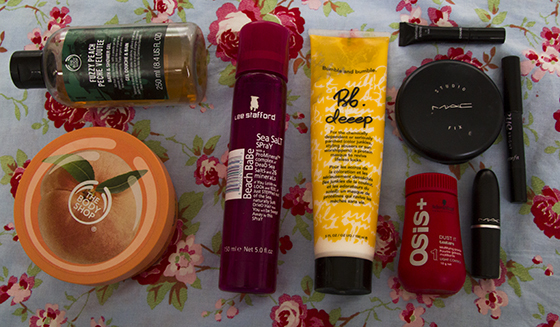 This month I kept on discovering products, which I thought I hate. To be honest September had been a month of trying new things. I also had been wearing make-up for very a long amount of time, during the day. I can feel that my skin doesn't like that. I apply my make-up at around 8am then I remove it at 22-23pm. I'm aware that this is bad, but I give my skin as much break, as I possibly can. The Body Shop Fuzzy Peach Shower Gel: I love fruity scents, but during winter I transit to more sweet smelling products. This is "normal" Body Shop shower gel. Not going to lie at home we only use the Body Shop shower gels. From time to time we do buy other brands, but there is always Body Shop shower gel in our house. The scents are really nice. The Body Shop Peach Body Butter: Body Shop body butters will always be my weakness. My all time favorite one is Satsuma one, not sure why had they re-design the packaging, I used to love the old one a lot more. The Peach Body Butter is amazing to use after sweet smelling shower gel. I also really love using it before bedtime. It keeps my skin really nicely moisturized. 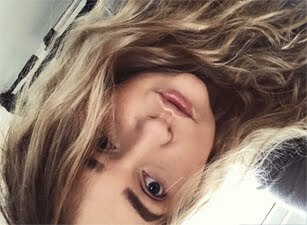 Lee Stafford Sea Salt Spray: At first I used to hate this product, this was because I wasn't sure how to use it correctly. Then I tried different ways of using it and I'm in love! I mostly like to apply this on damp hair. When you over use it, your hair will became sticky, so be careful. Less is always more. I'm just not a big fan of the scent. Bumble and Bumble Deeep! : After all the hair colour treatments, I'm trying to get the moisture back to my hair. This hair masque is doing wonders to my hair. Deeep! Is packed with lots of proteins, our hair loves proteins. I really love the scent, been applying this once a week for around 30minutes. Schwarzkopf Osis+ Hair Dust: Another products which I didn't get on well with, at first. 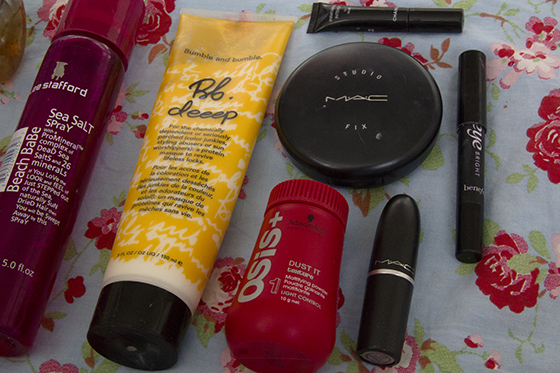 After running out of my dry shampoo, I had search through my hair products and I found this. It's a mattifying powder, it's not a dry shampoo, but you will be able to mattify you hair a bit. I love this product for the bed head look! It's adds a lot of texture and volume to my hair. MAC Studio Fix Powder Foundation: My favorite powder foundation! As I had mention at the beginning I apply my foundation early in the morning and this is a great top up foundation. I love adding this on my face after I notice that the other foundation is rubbing away. Chanel Inimitable Intense Mascara: This is the best mascara I had ever had a chance to try out! Makes my lashes look amazing. This is a sample size, but I really do want a full size. Once you apply it to the lashes it dries really fast, it stays on the lashes for very long amount of the time. It keeps my lashes really separated, as well as I'm loving the wand. Benefit Eye Bright: My life saver, when I get up in the morning I just look dead! This is great product to make me look more awake. Wish it could last a bit longer on the water line. MAC Lipstick in Naughty Saute: My bright lipstick! As I don't go mad with the eyes, I now go for brighter lipsticks. That because of Alicja, she always wear bold lipsticks and I'm falling in love with bright pinks, as I can't pull of red. I am in need of a new body butter as mine are all nearly empty, I love the smell of the satsuma butter, too! for my uncles wedding i was a bridesmaid and the hairstylist used the Schwarzkopf Osis+ Hair Dust to create a quiff and it stayed up all day! 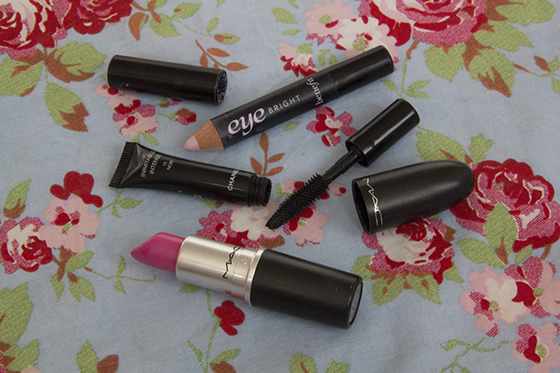 Great faves, i really want to try eye bright! I think I need to give the body shop a go! Everyone loves their body products! I love the colour of that lipstick, so gorgeous. I'm dying to try the Osis dust. I've been using the Redken one and it just feels soooo gross in my hair that I feel like I need to wash it soon after. I've heard the Osis one isn't as bad! That lipstick is amazing! Body Shop body butters are total weaknesses for me, they're just perfect, all of the Body Shop products smell so amazing! I've finished my fuzzy peach, need to get another soon! It's so gorgeous. I didn't know there was a peach body butter!? apart from the latest addition.